We are lucky enough to have two volunteers, that study geography, from our local High School. Matthew and Thomas have been doing small projects in the Visitor Centre recently. 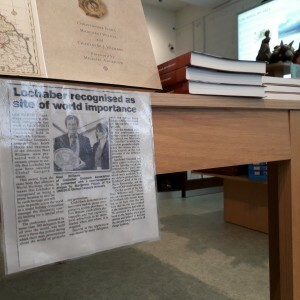 They went through the Geopark’s publications archive and have put some of them around the Visitor Centre. So come in and take a look, see if you can find them and have a read! Thank you Matthew and Thomas.